On May 13, 1952 George Grosz arrived in Dallas to begin work on his Impressions of Dallas series. 60 years ago today, according to entries from Grosz’s diary, he met the DMFA’s director Jerry Bywaters and later in the day enjoyed a cocktail party at the Cipango Club. You can view twenty works from his series this Sunday when Flower of the Prairie: George Grosz in Dallas opens at the Dallas Museum of Art. 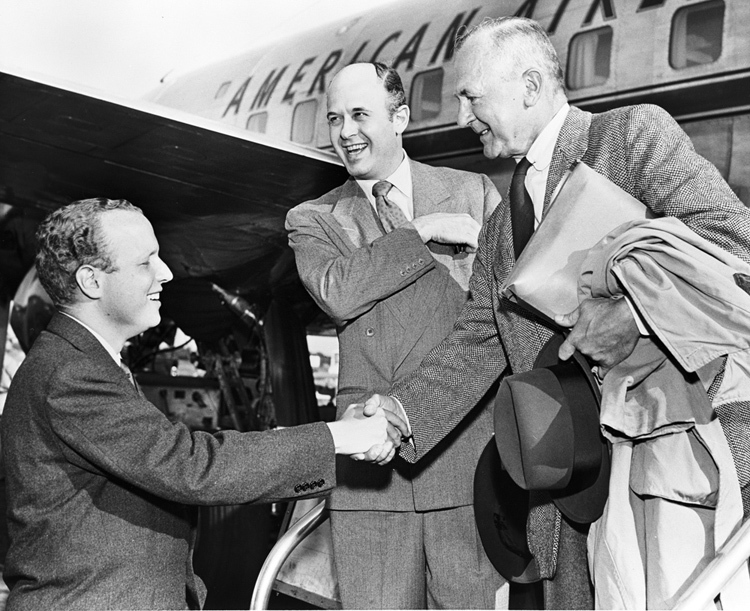 Leon Harris, left, welcomes Reeves Lewenthal, center, and George Grosz at Love Field Airport, May 13, 1952. 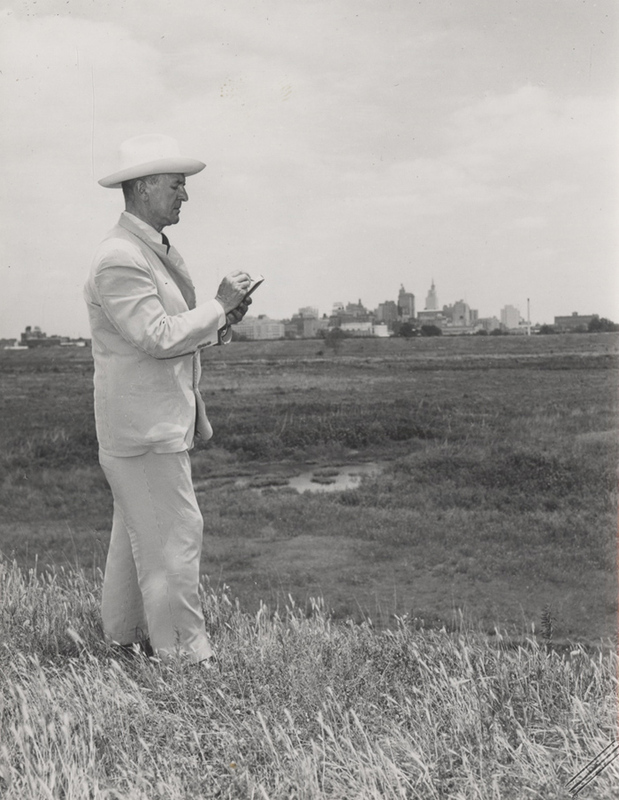 Clint Grant Collection, Texas/Dallas History and Archives Division. PA2001-1/17. Again, it’s one person with a vision and the guts to make a difference. Mr. Harris was that man. Thank you Dallas Museum of Art for reminding others that they too can enrich their own lives and others through art.